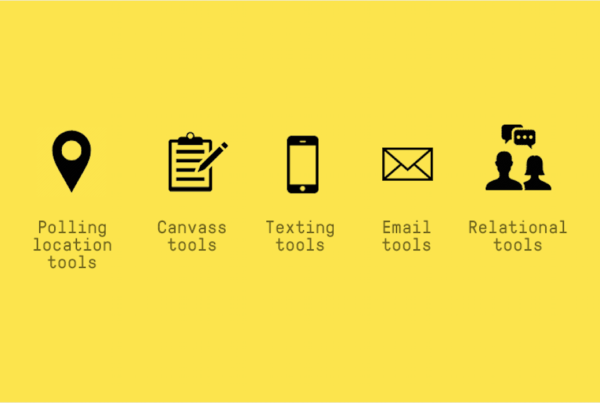 Resources: Check out ACRONYM’s Digital Tools Assessment here for in depth analysis of 73 campaign tools on the market today (updated February 2019). What are the potential benefits of this kind of technique? What are the challenges with this kind of technique in an electoral organizing context? 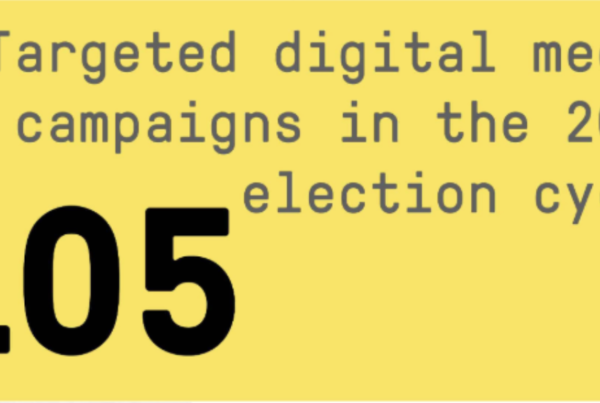 How should campaign organizing programs incorporate tech/digital into this strategy? We’re a team of electoral organizers digging into what works, what could work, and what doesn’t work both at the strategic and tactical levels to persuade, motivate, register, and recruit voters and volunteers. In a political ecosystem where messages are becoming more and more polarized, organizing and trusted messengers are becoming more important. But in order to actually use these tactics in a real way, they need to be incorporated into an existing, data-driven organizing structure to help organizers meet their goals — instead of just adding more work with little benefit to an organizer’s plate. Our goal is to make organizers more effective and efficient at the work they’re already doing — and this post will walk through how relational organizing can help. Relational organizing isn’t new. The theory is simple: a volunteer reaching out to someone they already know is more effective than a volunteer reaching out to strangers. If you got a call from a campaign organizer asking you to vote, it would be easier for you to ignore it (assuming you even pick up the phone from an unknown number) than if your best friend texted you and asked you to vote. In today’s media landscape, we’re seeing that the messenger matters as much as (if not more than!) the message itself. Below, we’ll outline the potential benefits of using relational organizing programs; the challenges with incorporating relational organizing into data-driven, scaled organizing programs; and data and technology solutions for campaigns and organizations who want to run a next-level relational organizing program. What are the potential benefits of running a relational organizing program? We know organizing programs move the hearts and minds of voters — voters we need to persuade, register, and turn out to vote — more effectively than any other campaign tactic. Because we know organizing programs are effective, electoral organizing programs are faced with astronomical voter contact goals and obscenely tight timelines in which to contact the voters that need to be contacted. 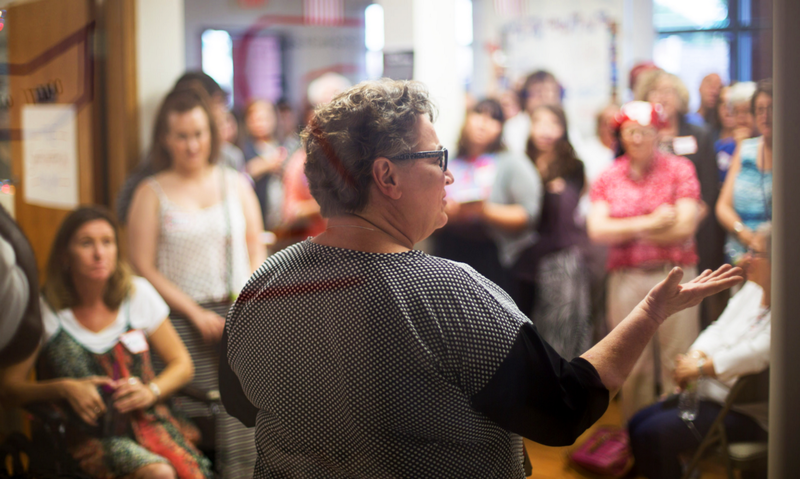 We spend millions of dollars per campaign each cycle staffing up and running robust organizing programs, all to build the capacity necessary to reach the number of voters it takes to win. But our focus on and investment in campaign organizing programs doesn’t mean we’re running the most effective or efficient organizing programs we could be. We’re facing an average of a 3 to 5 percent contact rate on the phones. Because of this, we set metrics around attempts — not around contacts. If an organizer made phone calls for four hours straight per day (which most do! ), they would be lucky to talk to 15 people. And this doesn’t even start to get into the data deficiencies our campaigns face — what little data we have on people is often incomplete and out-of-date. Relational organizing solves some of those problems — not completely, but as another means to a solution. 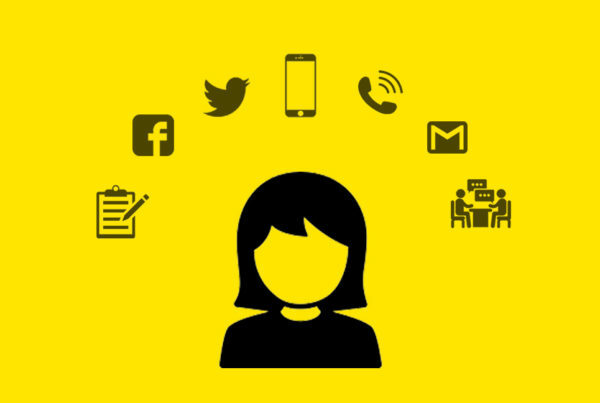 By leveraging existing contacts, relational organizing can lead to a higher contact rate. You’re less likely to pick up the phone for an unknown number — even one with your area code — than you are to pick up a call from your parents or a friend. The ask comes from someone you trust — so instead of needing to spend time building a relationship in order to make an ask, you can take advantage of an existing relationship to get that person to register, vote, volunteer, or whatever you need them to do. We know social pressure works to get people to take action — and no one can exert more peer pressure than a friend or family member. And we can improve our data by asking friends and family to fill in someone’s information, including out-of-date home numbers, new cell phone numbers, etc. Based on past research, relational organizing is highly effective for turnout out people of color and millennials. Relational organizing is particularly effective at reaching traditionally disenfranchised voters. Data on young people has been especially difficult for campaigns to acquire — but running a relational organizing program to register and turn out voters on a college campus has more potential for success than trying to run a traditional organizing program to turn out those voters. This is also true for minority communities — getting the message (and social pressure) from a member of their community to vote will have a higher impact on turnout than having a campaign organizer try to reach and mobilize that community from outside of it. Campaigns have already figured out that local phone numbers lead to higher contact rates than out of district/state phone numbers. But what if your mom called you? Your best friend? Your pastor or professional mentor? You’re probably more likely to pick up the phone than if you get a number from an unknown number. Especially now that we’re seeing standard phone contact rates dwindle, new solutions (including peer-to-peer texting) can help to increase contact rates. This should go without saying — but the success of asking people to do something relies on having a good list. If a volunteer came into the office to make phone calls and knew everyone on their list, that volunteer would not only have a higher contact rate than they would normally — they would also have a higher conversion rate than they would normally. Asking your father-in-law to come to the office with you next Thursday to volunteer is more effective than a stranger asking your father-in-law to take the same action. Better models + expanded universes. Campaign modeling is not perfect. Models give us the best possible idea at scale of which voters we need to reach out to with what messages. The ID data you can get on voters from a relational program will be inherently more accurate — people (hopefully) won’t lie to their friends like they’re willing to lie to a stranger. This will give programs a better picture of how accurate their models are and reveal new profiles of potential supporters. To give an example: I might know that my mom, who has voted Republican her whole life, is planning to vote for a Democrat this year — but a model might not show that. Because she has consistently voted Republican in the past six elections, she isn’t worth the campaign’s efforts to reach and ID. If I gave the campaign ID data on my mom, that wouldn’t just improve targeting on her — it would help correct our overall model. Less chance of mobilizing non-supportive voters. One of the big problems with predictive models in general is the potential to turn out non-supporters. Instead of including the target in a broad GOTV program, having your best friend ask you to vote significantly (if not entirely!) reduces the chance of mobilizing a non-supporter. Because each voter has a designated volunteer who knows them, they will not turnout voters who are not supporting your candidate. Another benefit of relational organizing is that people can’t opt out of the method of outreach like they can with campaign communications — either refusing phone calls or opting out of being texted. In 2016, we didn’t ID most of our GOTV universe via SMS for fear of them opting out before they could receive a text asking them to vote — and we ended up texting many Trump supporters with a GOTV message. Because people can’t “opt out” of a relational organizing touch, we can ID earlier and not risk mobilizing these people during GOTV. What are the challenges with relational organizing in an electoral organizing context? The benefits listed above — higher contact rates, better data and modeling, and higher conversion rates — make relational organizing an exciting and promising opportunity to register voters, persuade undecideds, recruit volunteers, and turn out Democrats. But there are challenges that go with running a relational organizing program — especially one at scale. Relationships aren’t confined within organizer turfs. Relational organizing programs are not confined to a certain geography. In an ideal world, each target — whether it’s a volunteer target, a persuasion target, or a mobilization target — would be contacted by a volunteer who has a close relationship with them. We try to get as close to this as possible by creating neighborhood teams that are turfed to a specific geography, where volunteers within that turf reach out to voters in that turf. We do this for a number of reasons: polling place addresses are specific to that area, a lot of support data is based at the precinct level, it’s a way to calculate capacity for GOTV, we can turf organizers to a specific number of people, canvass packets are tied to geography because homes exist in the physical world, local party infrastructure is broken down on geographical lines, and it gives organizers and volunteers a clear understanding of who is the right point of contact for the campaign is in a given area. Geographic turfs aren’t a perfect way to set up organizing programs. People don’t know their neighbors as well as they used to, and relationships aren’t confined to a specific organizer turf. It’s a necessary trade-off — but it makes relational organizing difficult to integrate. An example of this: if your volunteer works across town and has a ton of relationships in a different turf, you can ask them to get all those people to volunteer, but they might be in a different organizer turf, so they’ll contribute to another organizer’s goals. Or if your volunteer who works across town knows a ton of GOTV targets across town, they can still contact them and ask them to vote, but it won’t count toward their turf’s GOTV metrics, even though it’s an effective GOTV ask. Data and management is hard. The data for relational organizing is difficult to manage. As mentioned above, relational organizing inherently transcends geographic boundaries, which makes voter targeting, goal setting, and event planning that much more difficult (for example: we run capacity strategy around “high turnout areas,” but that becomes meaningless if GOTV universes aren’t geography-based). Another obstacle: if two people (or 30) have a relationship with a persuasion target, it becomes difficult to not only know who should reach out to them, but also how to track contacts so that the target doesn’t get oversaturated. This gets even more difficult as you scale. Budget allocations, field offices, and volunteer and staff placements are often decided by the percentage of a particular voter or volunteer universe in a given area. A program run on an entirely relational basis means that the “list” can’t be created until volunteers start identifying their contacts and building the list from the ground up. This means that the universe will grow as more volunteers join the campaign at an unpredictable rate: a system that makes resource allocation nearly impossible, especially if you have a defined win number to hit. It also creates a discrepancy between the amount of work that needs to get done (the number of persuasion and mobilization targets that need to be contacted) and the work that can be done (the number of targets that volunteers have relationships with). Relational organizing is an overall strategy (not a tool!) that is difficult to separate from how we try to increase turnout. Turnout or persuasion effects tend to be measured by channel (in person, phone, email, text, mail, TV ad, digital ad, etc.) and — arguably more importantly — effect on decay based on time since last touch. It is still unknown if these same parameters mean anything in context of relational organizing. For example: studies have shown again and again that the best mobilization touch is an in-person GOTV conversation close to election day. What we don’t know is how a relational text message sent a month out from the election compares, if a relational touch in person is any more effective than a relational text, or what the relationship between a general relational touch and an in-person cold GOTV touch with a strict script looks like. Volunteer demographics and target demographics often don’t intersect. Data suggests cycle after cycle that volunteer universes and GOTV/persuasion universes do not overlap in any meaningful way at scale. Therefore, there is no evidence to suggest that volunteer relational organizing by itself can successfully penetrate a GOTV universe or a persuasion universe. In other words: the people who are self-motivated to volunteer for a campaign often do not know the people who need to be motivated to vote. Too many tools these days focus on the tool first and the strategy second. Before looking into buying a relational organizing tool, you should first think through three things: Can you run a program like this without additional costs? How will a relational organizing program fit into your existing organizing program and overall campaign plan? And are you seeing specific problems or gaps in your program that you need to fill with a new strategy? Voter file matching is the piece needed to operate this strategy at scale, and it can be difficult to figure out manually. Many tools offer voter file matching so you can match your volunteers’ contacts to a specific person in your voter file. One thing we would caution is to not try to find your volunteers’ contacts only in your district or state voter file. This is how bad matches happen. For example, if a volunteer has 10 friends from District B but the campaign is in District A, looking for those friends in District A might yield false positives if they have commons names. Instead, try to look at a national voter file where you can find the actual person — not just lookalike names. Turning social networks into digestible data. A lot of the success to scaling a strategy like this relies on the ability to turn the people that a volunteer knows into an actual list that a program can track. Without using a tool, you could easily track lists such as union membership lists, church directories, bowling league rosters, and more. Many of the tools out there have functionality to download phone contact lists, email lists, or social media friends lists and match them against voter files. We would use a relational organizing strategy in addition to (not instead of!) a traditional organizing program to boost and augment existing efforts. Relational organizing is a way to get better data and increase contact and conversion rates for the type of program you’re already running. But to be clear, this should be done in addition to a scaled organizing program that reaches out to voters itself as well. Volunteer “homework.” As a campaign organizer, schedule your volunteers for phone banks and canvasses as you normally would. When they come into the office, have them give you a list of their contacts or network. If you’re using a digital tool, have them download the tool and get set up at the office so you can walk them through security permissions. After they finish their regular volunteer shift (canvassing, phonebanking, etc), give them their list of targeted relational contacts to reach out to during the week (marked with what type of target each person is), and tell them to come back the next week to tell you about the results. Not only will you get additional IDs, volunteers, and persuasion contacts, but it could also reduce flake rates as the volunteer might be more likely to want to come back the next week to report their work. Reduce the size of your GOTV universe by covering a portion with relational contacts. GOTV staging locations based on organizer turfs shouldn’t go away. But the science around relational organizing touches remains consistent — it’s a more effective touch on a one to one level. If you pull your GOTV universe early, as the campaign progresses you can track what percentage of it can be contacted by volunteers who know the targets via voter file matching. You could then remove those targets from the final universe to allow more passes of GOTV targets who couldn’t be reach via relational methods. How much does relational organizing cost? The strategy is obviously free to use, but given the difficulty of managing the data and the large amount of staff time involved, we would recommend using some sort of tool or software to make organizers more efficient at deploying the strategy and to take some of the burden off of a data team. MyRVP: $500 to $3000 per month, depending on the size of the campaign. OutVote: Free for up to 5k voters, $100 per month for up to 400k voters, and $250 per month for up to 500k voters. VoterCircle: Monthly costs vary based on voter file size, at the free, $150, $250, and “custom” levels that may include a monthly fee as well as a 10 cent per contact fee. Team App: Price plans vary depending on voter file sizes at the statewide level from $3000 to $8000 per month. Google Sheets: Free to use! Taking it back to basics, using something as simple as Google Sheets to have volunteers input their contacts and track outreach can be effective if you don’t have budget for a tool. Every tool has its upsides and downsides. You can read long form breakdown of each tool here. In order to win this cycle, we can’t run campaigns like we did in 2012, or even 2016. We also can’t mimic Republicans’ campaign strategies and expect them to work to persuade and mobilize our voters the same way they persuade and mobilize Republicans. We need to run cutting-edge programs that double down on what works for us while also addressing the problems we face cycle after cycle (like dwindling phone contacts, limited capacity, and bad data). We know that in many instances, for Democrats to win this year, we need to expand the electorate by registering young people and people of color. We need to run strong GOTV programs to turn our supporters into voters. Democrats are less likely to vote in midterm elections than Republicans — so we’re already facing an uphill battle. We can’t leave anything on the table when it comes to running effective and efficient organizing programs. By incorporating relational organizing into our organizing programs, we can harness the power of existing relationships as we organize. We can deliver more effective asks to more people. We can reach communities we previously couldn’t. We can gather more data that will help us build infrastructure not just this cycle but for years to come. And we can start to fight back against misinformation and the spread of fake news. Relational organizing isn’t a silver bullet, and the tools that facilitate relational organizing programs are not winning strategies by themselves. Relational organizing is organizing. It’s empowering people to change their communities. And by investing in and running relational organizing programs this cycle, we can register more voters, persuade more undecideds, recruit more volunteers, and turn out more Democrats. That is how we win.